NEW YORK, NY, WA - October 4, 2018 (Investorideas.com Newswire) Investorideas.com (Wine Down Wednesday), a global investor news source covering leading topics and sectors including wine and spirits and entertainment, features coverage from the recent Whisky Wisemen Society's #BeWise18 Speaker Series & Whisky event held at the Imperial in Vancouver on October 18, 2018. 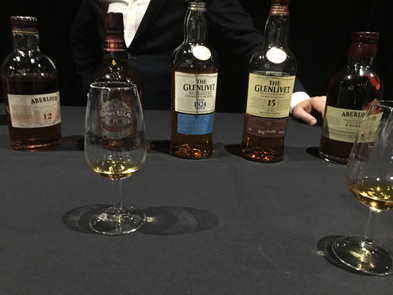 Not just your ordinary Whisky tasting; the Whisky Wisemen Society throws an informative and educational event perfect for networking. 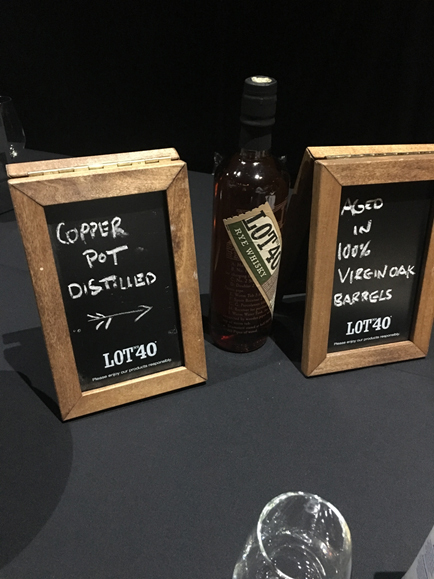 Vancouver's entrepreneurs and big headline speakers such as David Chilton, bestselling author of the "Wealthy Barber" and former CBC Dragon of Dragon's Den all enjoyed whiskey's best. 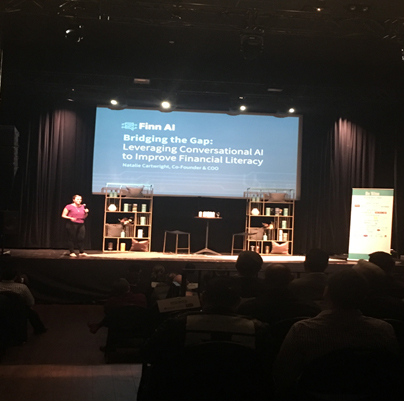 Other speakers included Natalie Cartwright, Co-Founder and COO of Finn AI, keeping the audience up to date with latest trends in fintech and AI changes. 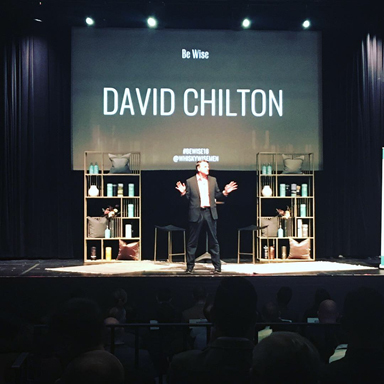 #BeWise18 -David Chilton, bestselling author of the "Wealthy Barber"
The event had over 200 attendees enjoying the evening. 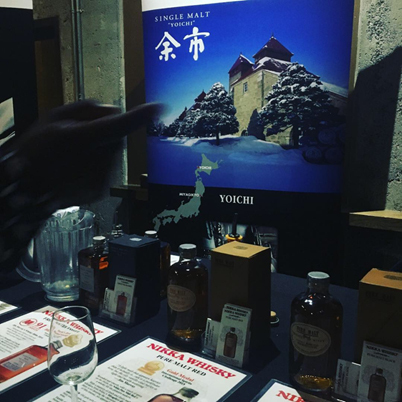 Whether you are looking to start venturing into the world of whisky /bourbon /scotch , network with Vancouver's up and coming entrepreneurs, or simply looking for a fantastic way to enjoy a Thursday ; this is a must attend event. 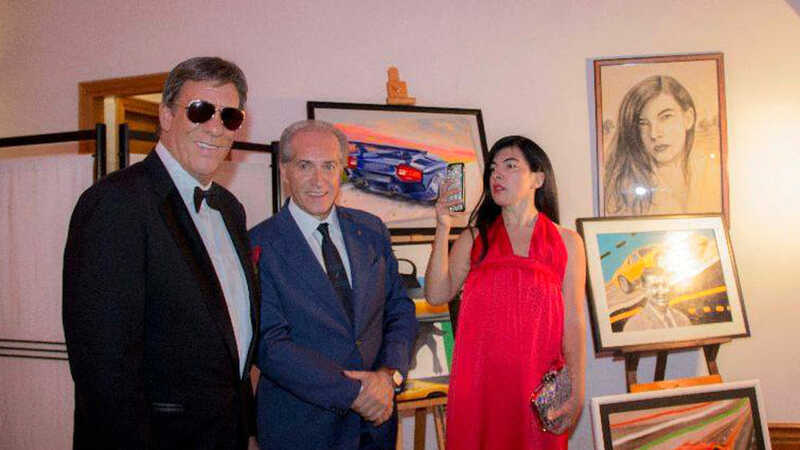 There was a level of class and sophistication brought to the event reminiscent of a throwback to the way we can imagine even Don Draper and Roger Sterling would applaud. 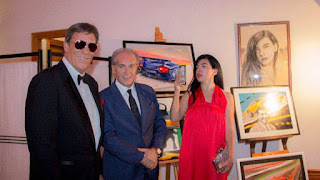 Investorideas.com is recognized news source publishing third party news and press releases plus we create original financial content. Learn about investing in stocks and sector trends from Investorideas.com with our news alerts , articles , podcasts and videos talking about cannabis, crypto, technology including AI and IoT , mining ,sports biotech, water, renewable energy and more . Investorideas.com original branded content includes the daily Crypto Corner and Podcast, Play by Play sports and stock news column, Investor Ideas #Potcasts#Cannabis News and Stocks on the Move podcast and column and the Cleantech and Climate Change Podcast. October 1, 2018 (Investorideas.com Newswire) A beacon of light shining for the Allen Youth Center located on the Pine Ridge Indian Reservation in South Dakota. On November 10, 2014 One Spirit opened the Allen Youth Center in Pine Ridge Reservation. It was the first, and only, youth center built. Although the temperature was 20 degrees and it was snowing, the community was celebrating. The building and programs have been monumental for Lakota youth, a recognition that they are the future of the Lakota nation and that they will have the help they need to carry forward the traditions and responsibilities of their people. The center has grown strong, providing mentorship, study areas, tutoring, recreation, food and counseling in a welcoming place that lures youth away from drugs, alcohol and gangs. NOW on October 5, 2018 - the Allen Youth Center goes SOLAR! Everybody Solar, an award-winning solar energy nonprofit, has fully installed an 18.4 kW solar array with two Tesla Powerall storage batteries for fellow nonprofit One Spirit. With the help of installer EcoWorks Inc, the system is up and running and will save the Allen Youth Center approximately $1,500 in electricity costs, produce over 28,000 kilowatt-hours of clean energy annually and avert 38,800 lbs. of carbon-dioxide from entering the atmosphere annually for the next 25 years. Everybody Solar successfully met its fundraising goal of $53,400 to complete the project through its crowdsourcing portal, along with equipment donations of 62 high-performance JinkoSolar JKM310P-72 modules and a generous $32,900 grant from the Rural Development Division of the USDA which pushed the campaign past the finish line. Monday, October 8th, 2018 will be the official ribbon cutting ceremony in conjunction with Native American Day at the Allen Youth Center. Please join us-the youth center is located at Tower Rd., Allen, SD 57114 as we celebrate the new solar array. We hope you can join us for our celebration. Everybody Solar is a non-profit organization based in San Francisco, CA. They work to protect the environment and strengthen U.S. communities through solar energy projects. By providing solar power to local charities, they help these organizations reduce electricity costs and direct their limited resources to the communities they serve. Everybody Solar is a charitable organization and depends on volunteers and the generosity of the public to perform its mission. Visit them online at http://www.everybodysolar.org, like them at http://www.facebook.com/everybodysolar, or tweet at them at www.twitter.com/everybodysolar. The One Spirit Mission is to assist the Lakota people in preserving and revitalizing the Lakota culture, language, and self-sufficiency while meeting the basic needs of Lakota families, children, and elders. We strive to cultivate an intercultural relationship that recognizes that we are all related and that American Indians are an equal and valued part of our society. The goal of all programs is to reduce or eliminate hunger, to replace the high school drop out and suicide rates among youth with an enthusiasm for learning and a pride in their Lakota heritage, and to provide protection from the winter cold that can drop to 40 below zero. One Spirit is a federally registered non-profit 501(c)3 organization. To learn more about One Spirit, visit them online at http://nativeprogress.org Donations are tax deductible. 90% of all donations/contributions received are used for direct support of the Lakota programs. ONE Spirit is recognized by GuideStar, the primary resource for information about non-profits. JinkoSolar (NYSE: JKS) is a global leader in the solar industry. JinkoSolar distributes its solar products and sells its solutions and services to a diversified international utility, commercial and residential customer base in China, the United States, Japan, Germany, the United Kingdom, Chile, South Africa, India, Mexico, Brazil, the United Arab Emirates, Italy, Spain, France, Belgium, and other countries and regions. JinkoSolar has built a vertically integrated solar product value chain, with an integrated annual capacity of 8 GW for silicon ingots and wafers, 5 GW for solar cells, and 8 GW for solar modules, as of December 31, 2017. JinkoSolar has over 12,000 employees across its 8 productions facilities globally, 16 oversea subsidiaries in Japan (2), Singapore, India, Turkey, Germany, Italy, Switzerland, United States, Canada, Mexico, Brazil, Chile, Australia, South Africa and United Arab Emirates, and global sales teams in United Kingdom, Bulgaria, Greece, Romania, Jordan, Saudi Arabia, Egypt, Morocco, Ghana, Kenya, Costa Rica, Colombia, Panama and Argentina. "It has been an eye-opening experience working for and with the members of Pine Ridge Indian Reservation to help make this project come to life. Knowing that Native Americans have historically faced many challenges when working with outsiders, Everybody Solar is grateful for the opportunity to help the Allen Community and appreciates the trust they instilled in us to bring this project to light for the Youth Center." said Myriam Scally, Director of Operations and Development of Everybody Solar. "We decided to go the extra mile and add batteries to the installation. On its own, having solar already means sustainability and savings, but by adding the battery storage, we can ensure continued electricity even during power outages - something we understand happens every year, especially during critical times of winter. We hope that having solar at the site will allow the Allen Youth Center to also serve as a sanctuary and shelter during emergencies," said Scally. "One Spirit offers invaluable programming to the Allen Community, including serving over 4,000 meals to youth annually. In an area so entrenched in poverty, every dollar counts. The $1,500 saved annually will allow us to increase our meal service programming, offer more activities to the youth, including maintaining cultural heritage alive." "Rural Development is proud to be a part of this great project. Our mission is to help rural communities thrive and improve the quality of life for rural residents. Any time we can help finance projects like this that directly benefit rural America, we are more than happy to help. The cost savings associated with this project will help to offset energy costs and preserve the youth center's limited financial resources. Subsequently, this will be a great benefit to the youth and the communities that the center serves." USDA.